The Ontario Cannabis Store charges a $5 flat rate for shipping. One man who placed his order minutes after weed became legal, he got his order the very next day. 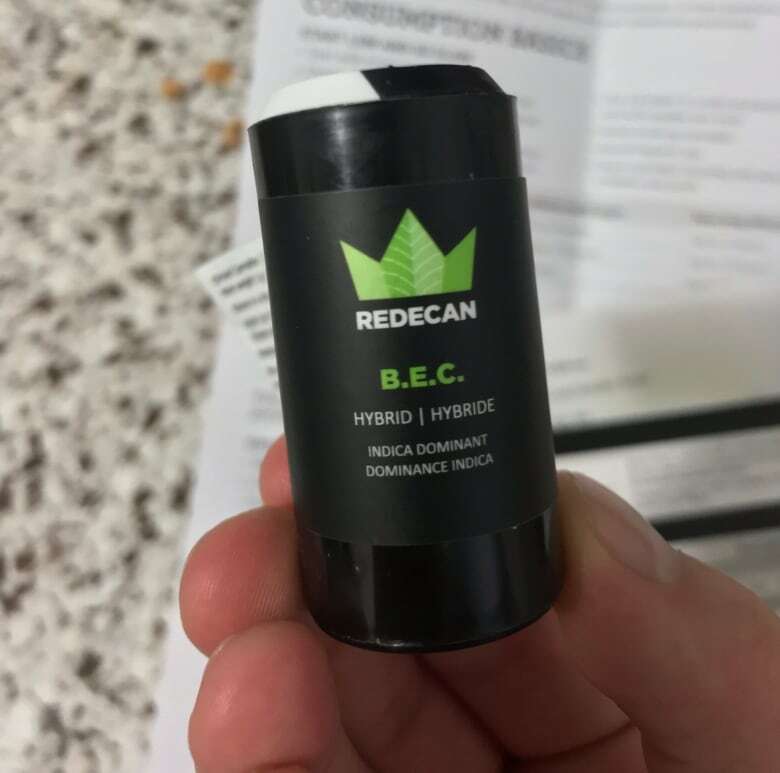 He placed his Ontario Cannabis Store order at 12:08 a.m. on Oct. 17. A little over 24 hours later on Oct. 18, Canada Post was at Zach Johns' door. 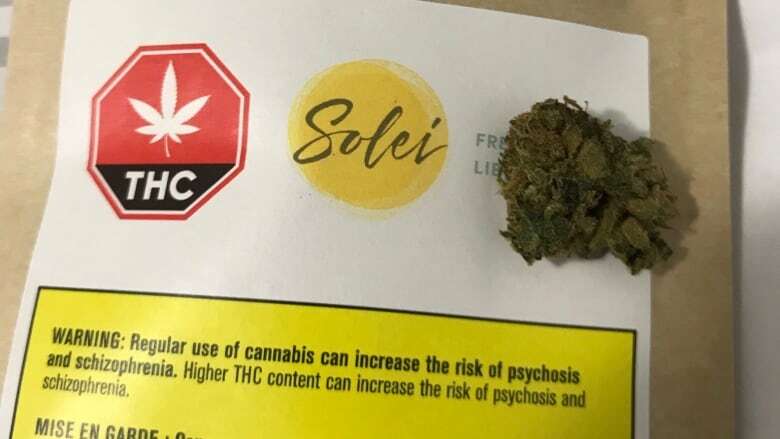 "It was a pretty exciting experience for sure, to have Canada Post knock on the door and hand me a box of legal cannabis," he said. "I was pretty excited watching the tracking number show that it was being delivered today, thinking that I might be one of the very few, or even one of the firsts, to receive their order today." Johns' order number was before the 2000 mark, and his invoice showed it was shipped on legalization day. He ordered two products at one gram each. His package was shipped from within the Greater Toronto Area and was delivered to his home in Toronto. On a Reddit thread where people are discussing the status of their OCS orders, some people were speculating that smaller orders will be shipped first. 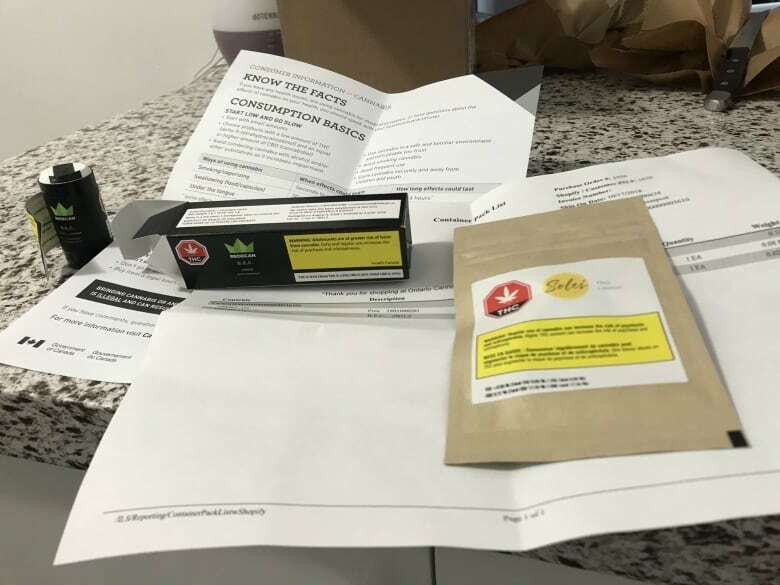 CBC News has reached out to Shopify and OCS for clarification on how the shipments are being handled. On the Ontario Cannabis Store website, there are no photos of the actual dried flower products, only the packaging. There is information on the THC and CBD contents of each, something Johns thought was more important than knowing what the product looked like. The packaging also had warning labels with Health Canada written on them. "It's very interesting to see that you're getting marijuana that's coming from the government," said Johns. The only complaint he had was there was maybe a little too much packaging with the "two small little orders" he placed. Quality-wise, however, the legal product seemed to measure up. "I wasn't getting a bunch of leafy or stemmy products just now. It looked like it was cultivated properly," he said. Would he shop again? Johns said he would, but is especially looking forward to when retail shops will become legal next April so he can support independent businesses. Flora Pan is a multimedia journalist based in southern Ontario. She currently works out of Windsor. You can reach her at flora.pan@cbc.ca or on Twitter @FloraTPan.